Here, the editor has gathered a team of international experts to present the latest advances in the field of laser imaging and manipulation techniques. The result is broad coverage of the interactions with biological samples to perform novel optical manipulation operations, both on the cellular and tissue levels. 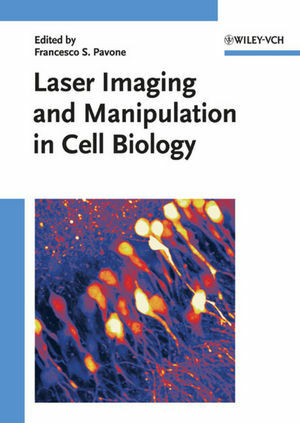 Of interest to physicists working and researching laser tissue mechanisms, cell biologists investigating new imaging and manipulation operation on the cellular level, medical doctors working with new laser therapies and diagnostic tools, as well as engineers developing new technologies in the field of optics and lasers. Francesco S. Pavone is a Full Professor at the University of Florence, Italy, and the Head of a research group at the Department of Physics and at the European Laboratory for Non-Linear Spectroscopy, working in the field of biophotonics on single molecule biophysics, microscopy imaging-spectroscopy techniques, biomedical imaging, and laser manipulation of bio-samples. In particular, he develops new microscopy approaches for high resolution and high sensitivity imaging and for laser manipulation purposes in the field of single molecule biophysics, single cell imaging and optical manipulation. Professor Pavone is the author of many internationals papers and the editor of several books and journals. He has held more than 50 invited talks. Moreover, he coordinates several European projects and has organized a number of international congresses.